Length: 200mm. Image shows painted and assembled kit. ★This is a 1/24 scale plastic model assembly kit. Length: 200mm, width; 94mm, height: 46mm. 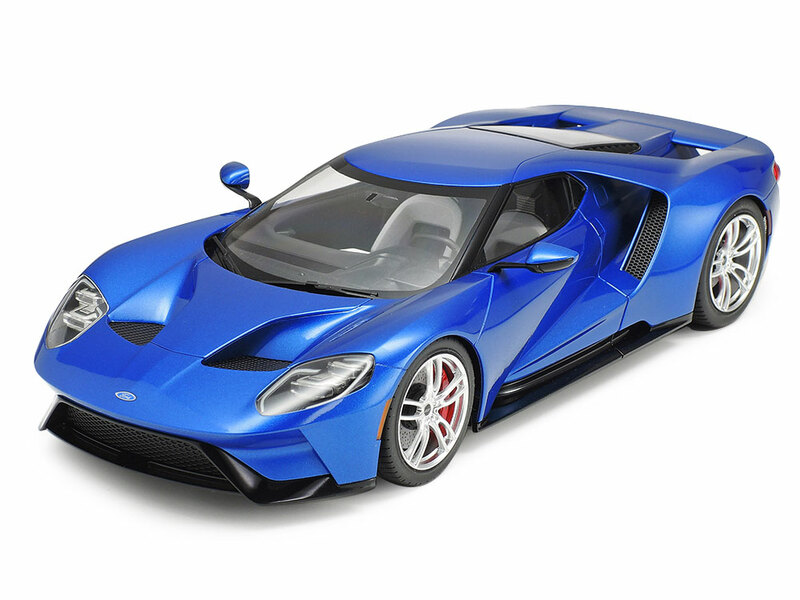 ★Refined aerodynamic form is captured with aplomb, with depictions of buttresses, door-side air tunnels and underside design. 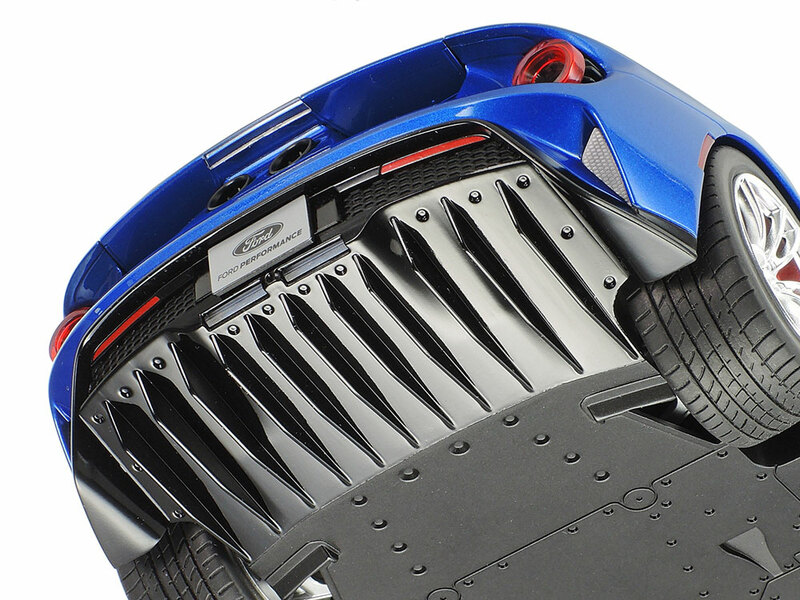 ★Body rear parts breakdown closely follows that of the actual car for super realism. ★Metal-plated wheels and oil tank depiction give an extra layer of realism. ★Shoulder sections and passenger seat dashboard are separate parts. ★Realistic soft resin tires. 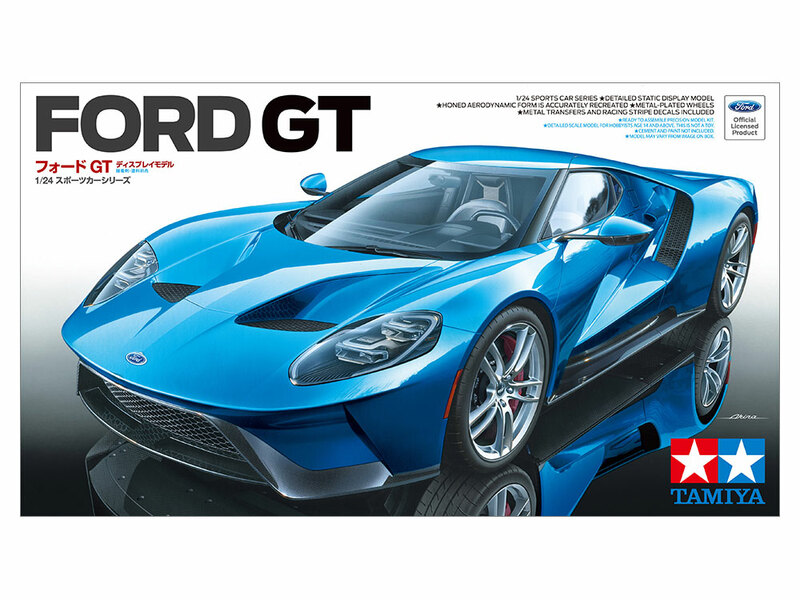 ★The sleek, inimitable Ford GT form is captured in realistic Tamiya 1/24 scale for an accurate and satisfying build. 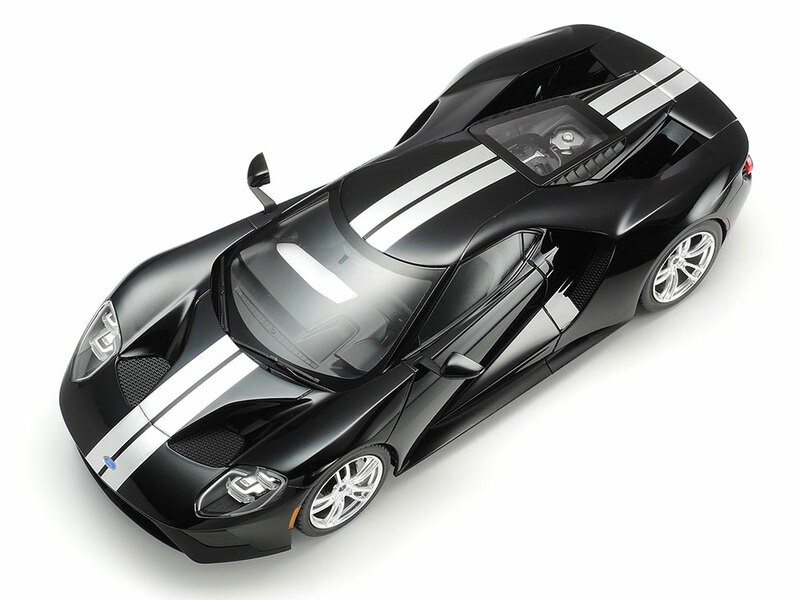 ★This kit includes optional stripe decals which are inspired by the GT40, one of the legends of Ford motorsport. 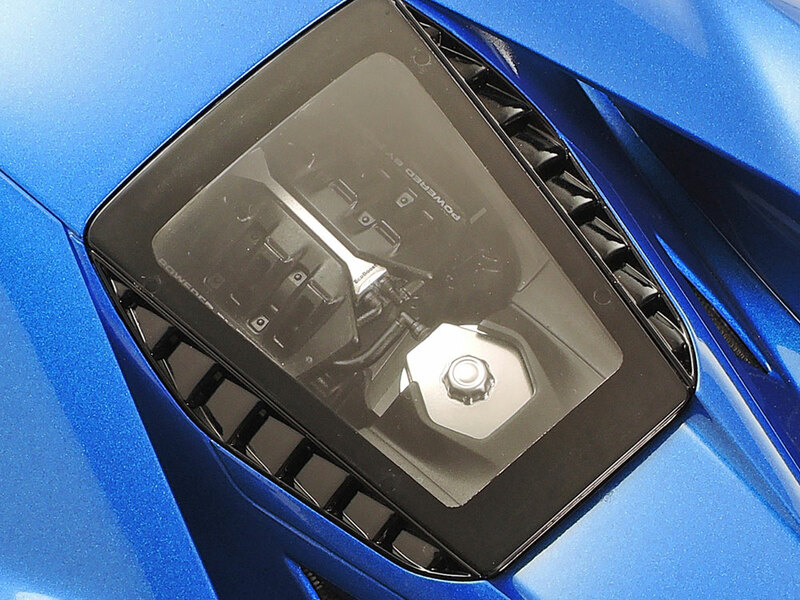 ★Complex headlights are recreated with a streamlined yet rewarding assembly. Wheels are metal-plated. 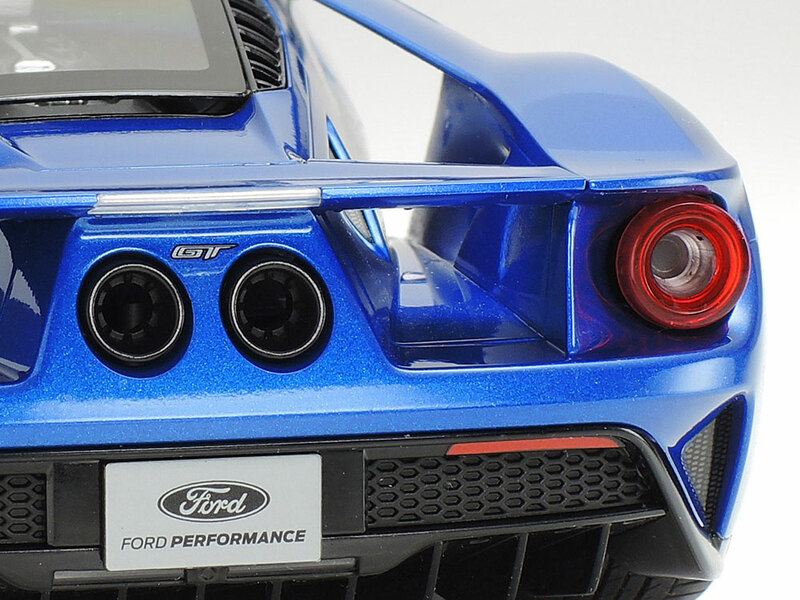 ★Body rear parts breakdown closely follows that of the actual car for super realism. Taillights are clear parts. 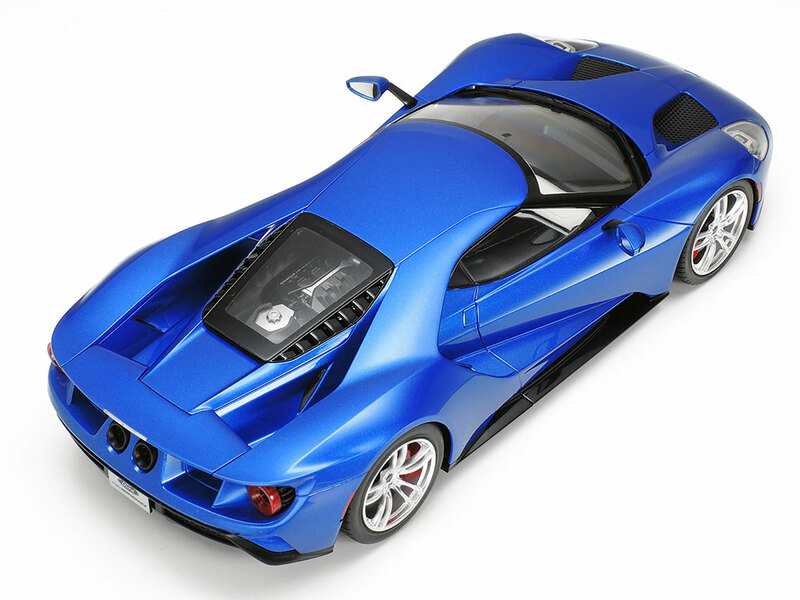 ★The top of the 3.5-liter V6 is depicted in style, with plated oil tank, and visible through the rear hatch. 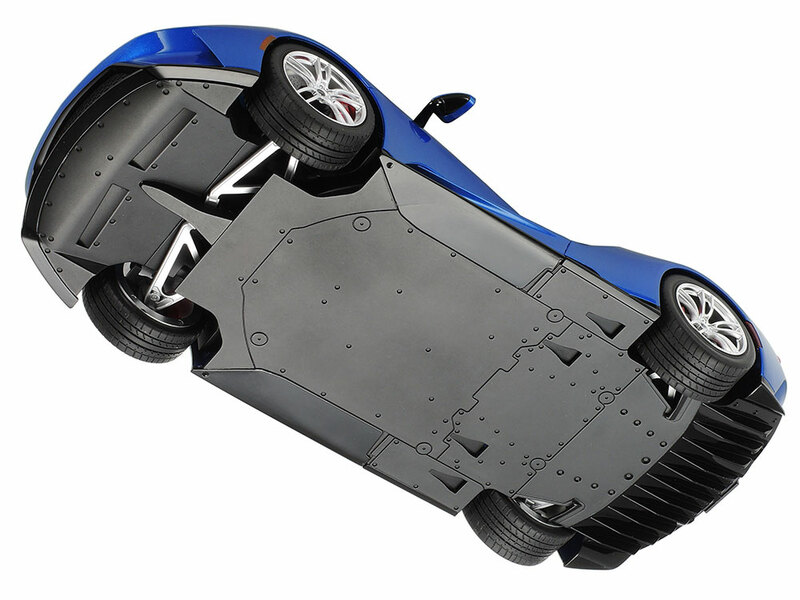 ★Underside features distinctive dual layer underpanel with visible lower front suspension arms. 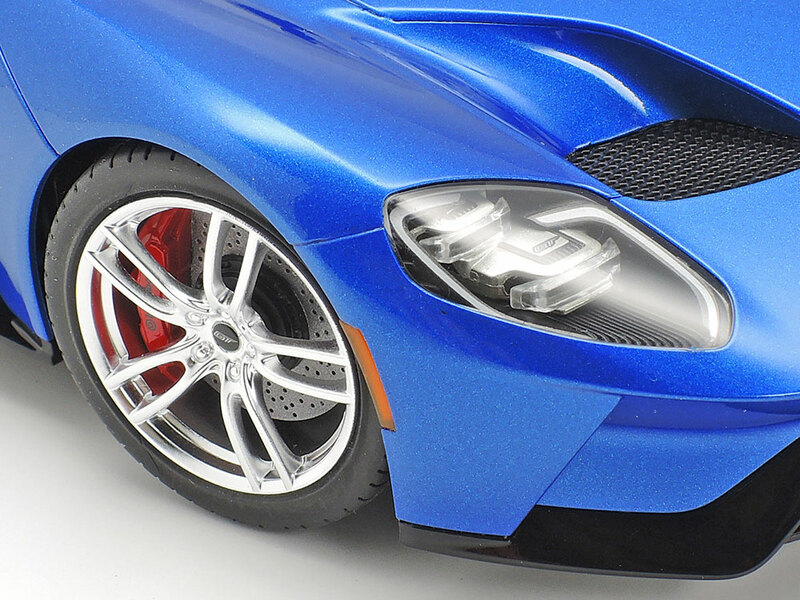 ★Left: This image gives a close-up look at the multi-splitter rear difusser, and the realistic tire tread pattern. 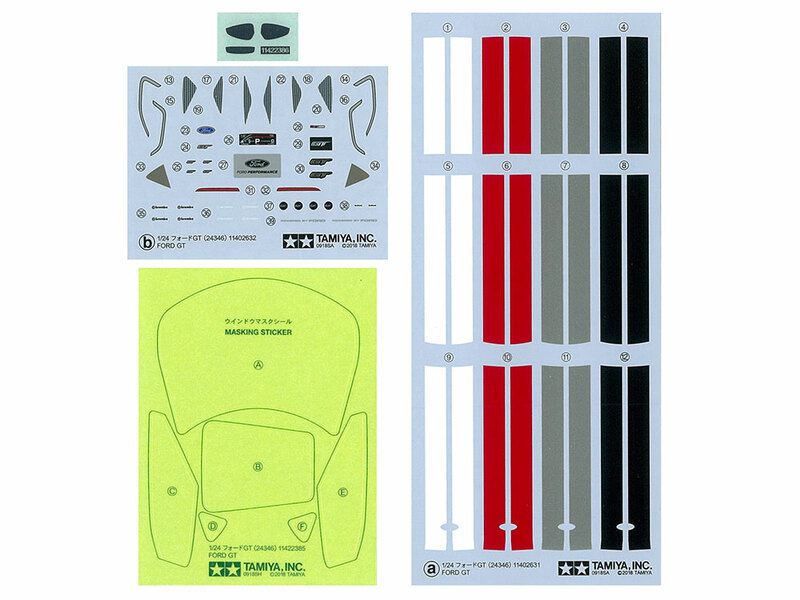 ★Right: A full complement of decals and metal transfers is included, plus masking stickers for the paint job. Information is correct as of February 1, 2019. Specifications are subject to change without notice.